Since calling off the production on the Galaxy Note 7, the South Korean giant has been silent on the smartphone front. 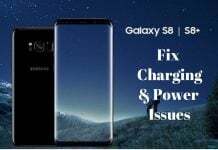 Despite multiple leaks and rumors, the company has not yet revealed any details regarding its upcoming handsets. Samsung is expected to come up with a long line of mid-range smartphones before it launches a new flagship device. 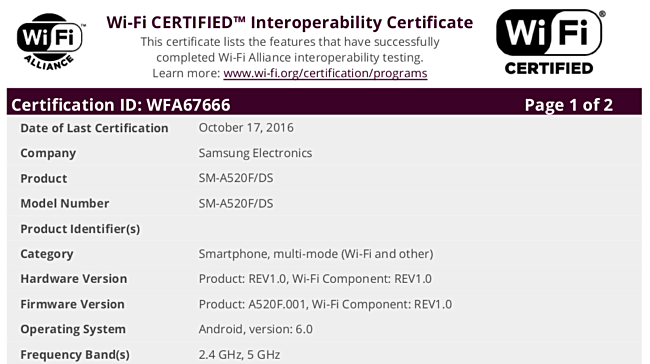 Now, the Samsung Galaxy A5 (2017) has received WiFi Alliance (WFA) certification. According to GSMArena, the WiFi Alliance (WFA) has certified both single-SIM and dual-SIM models (SM-A520F and SM-A520F/DS) of the Galaxy A5 (2017). It shows the new handset running Android 6.0 Marshmallow operating system. 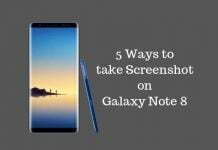 Other key specifications of the device that have been revealed include a 5.2-inch display, Exynos 7880 processor, and 3GB of RAM. Other rumored specs include a 13MP rear camera and a 3,000mAh battery. After releasing the Galaxy A8 (2016), the company is expected to release new Galaxy A4, Galaxy A3 (2017), Galaxy A5 (2017) and Galaxy A7 (2017), this year itself. Samsung released the Galaxy A5 (2016) in December last year. The new version can be expected to be released around the same time. The Samsung Galaxy A5 (2016) sports a 5.2-inch Super-AMOLED capacitive touchscreen with full HD (1080 x 1920 pixels) resolution and a pixel density of 424ppi. 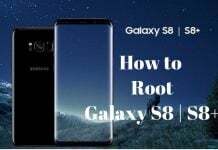 It is powered by a 1.6 GHz octa-core processor along with a 2GB RAM, and a 16GB internal storage [expandable up to 128GB via micro SD card]. 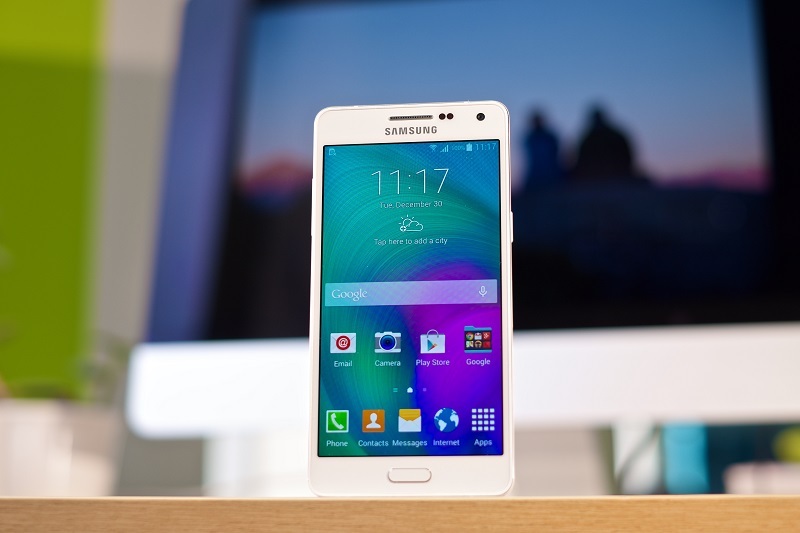 The Galaxy A5 (2016) runs Android 5.1.1 Lollipop operating system. It sports a 13MP rear camera with f/1.9 aperture, OIS, auto-focus and a LED flash. There is also a 5MP front camera with f/1.9 aperture. It measures 144.8 x 71 x 7.3mm and weighs 155g. Connectivity options include Wi-Fi 802.11 a/b/g/n, dual-band, WiFi Direct, hotspot, Bluetooth v4.1, GPS, NFC, microUSB v2.0, and USB On-The-Go. It is backed by a 2,900mAh battery.